Which happens to be on the North side of downtown Fort Worth. No need to consult a map, it’s true. The wild West begins with a cobblestone street (isn’t that what brick is called?). 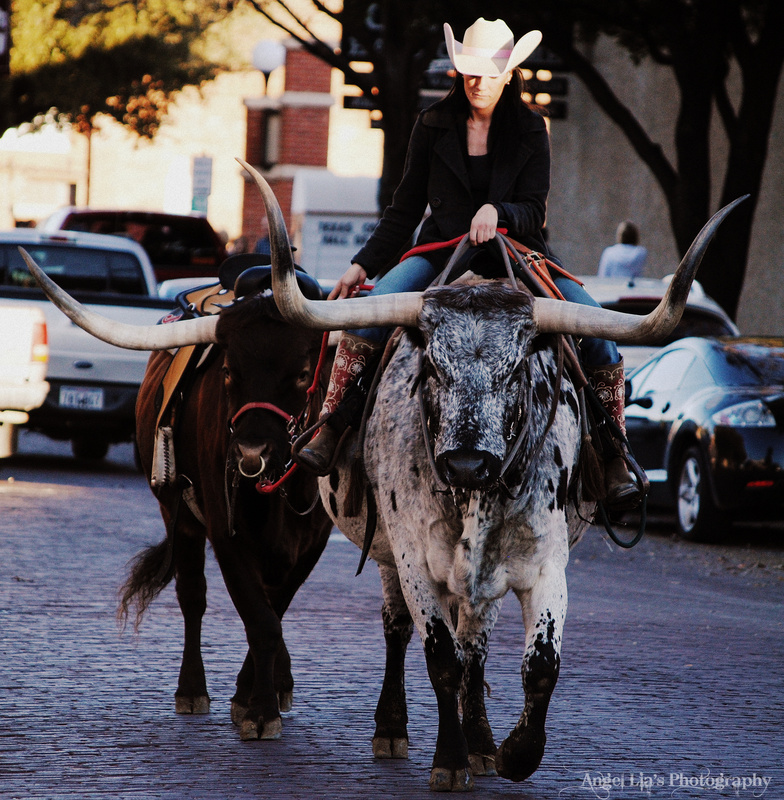 Twice a day there is a cattle drive of Texas Longhorn steers; 1865 style. Truth is…..I’ve lived (and worked) in the Fort Worth area for over twenty-one years. This was the first time I’ve seen the historic cattle drive. Isn’t that the way it is with tourist-y spots? It was short, but very, very cool. You know if I make a collage, I’m not pulling your leg. I actually wasn’t feeling all that well today. I got up, then went back to sleep until almost noon. I can’t remember the last time I slept longer than seven hours. I must have needed it, either that, or the decongestant the doctor prescribed needs to be cut in half. I was still tired most the day. I can’t seem to shake the sinus headache, even though I’m on antibiotics and two different decongestants. I guess it’s that time of year for the insane clown cold. Point is…..I do have one in my fuzzy brain, I promise…..I still took pictures. I didn’t think any were good. Finally, after two hours of poking around with edits (I like the cinema edit on these the best), I am finally happy with some of them. Here are a few. 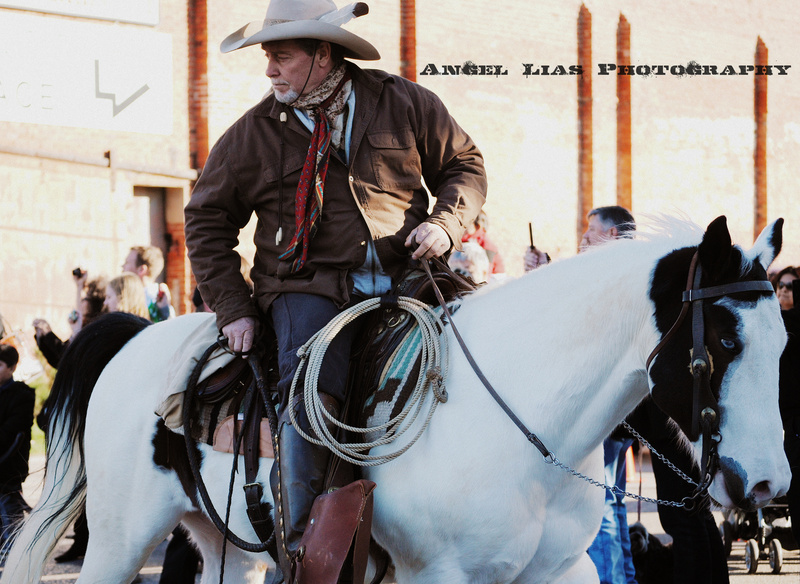 The beautiful lead horse of the cattle drive with ice-blue eyes. 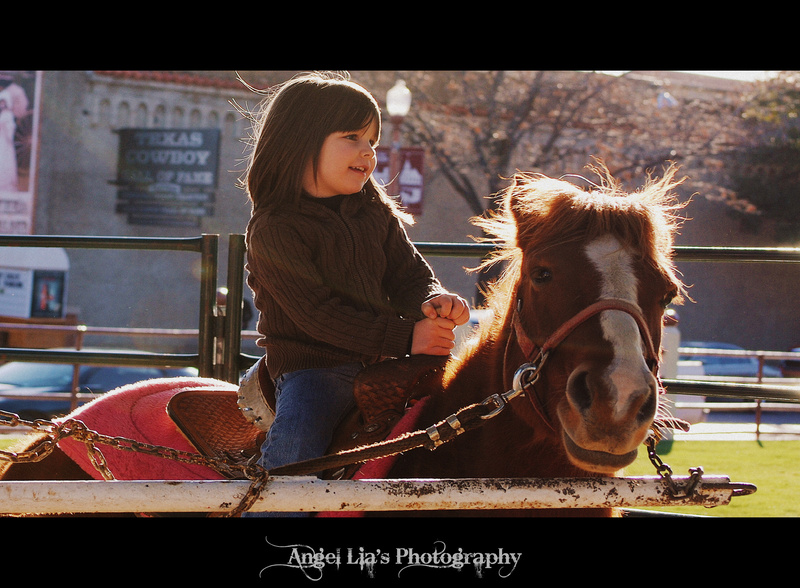 After the cattle drive, the little girls wanted to ride the ponies, and sit on a Texas Longhorn. Who wouldn’t? Bridget riding the oldest sweet pony on the circle block. 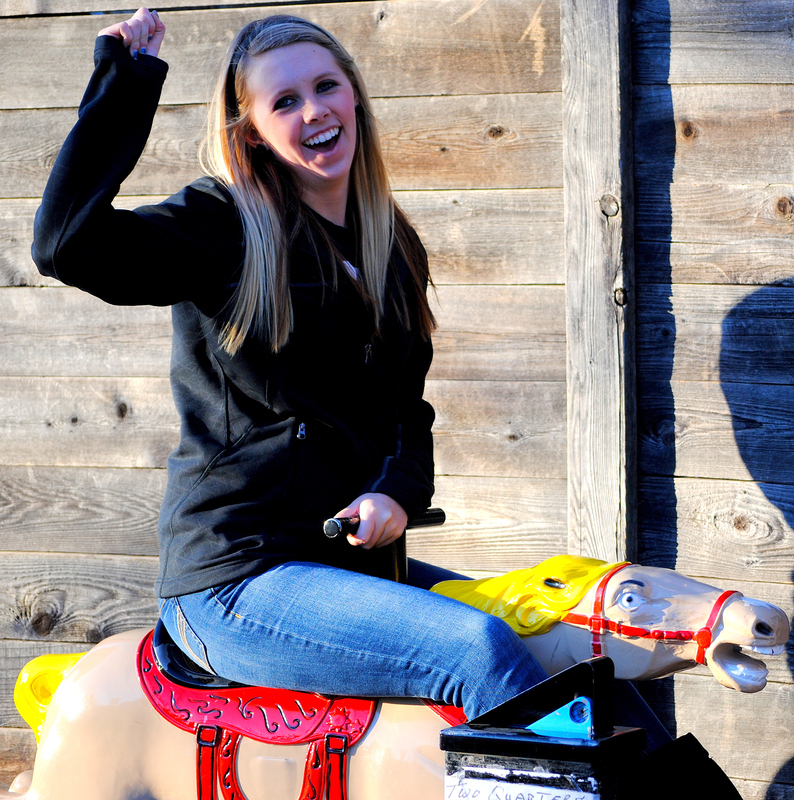 For all fairness sake, I did get Molly’s picture on the ponies and I did get Bridget’s picture on the longhorn. However, I had to narrow down the photo usage, because this post is already post heavy with pictures (Is that possible? If you are on slow upload…I am incredibly sorry). 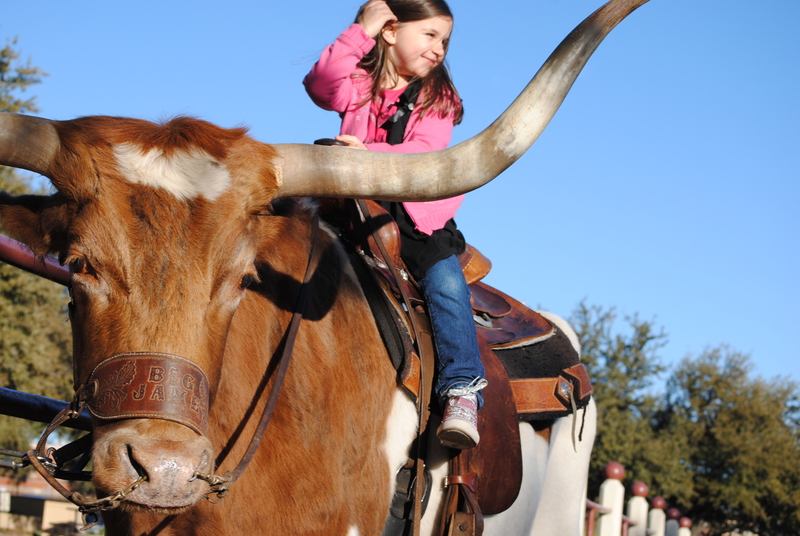 Molly on the Texas Longhorn. Sydney rode the (?) race horse. Uh, giddy-yup Syd! You go cowgirl. Next, we shopped. Okay….not really. Those things are waaaay too expensive, but we had fun anyway. Sydney getting country in the stockyards. 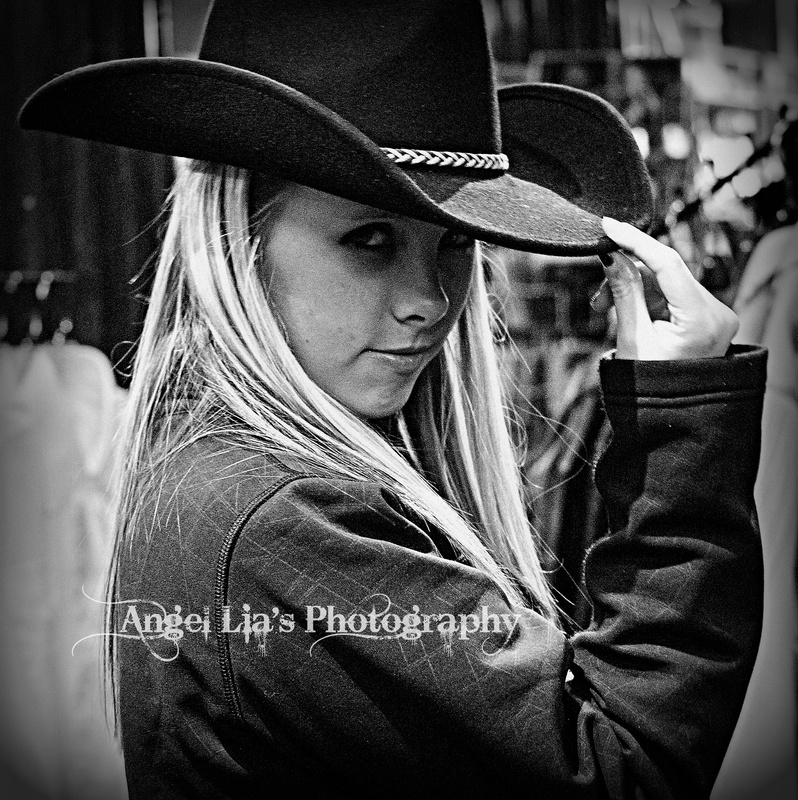 Rough and tough Bridget in the hat shop at the stockyards in Fort Worth. Howdy ya'll! It's Molly the cowgirl. Then we saw something crazy – really crazy. 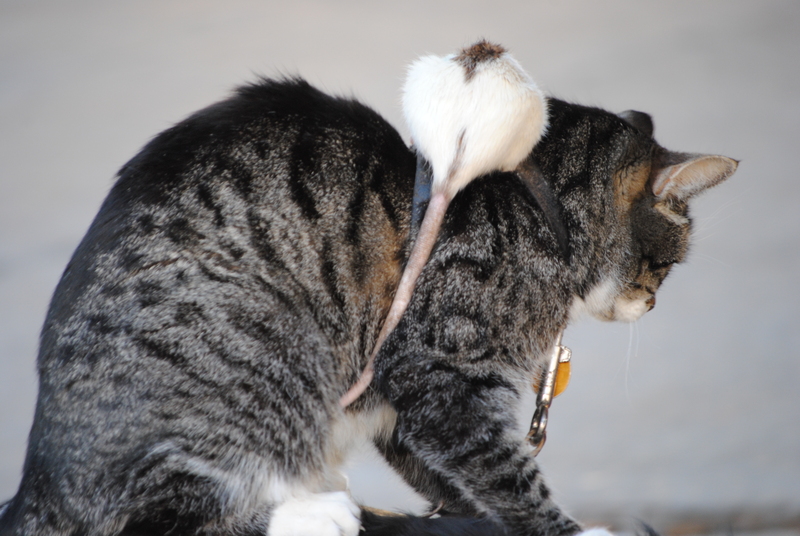 A real cat with a real rat. 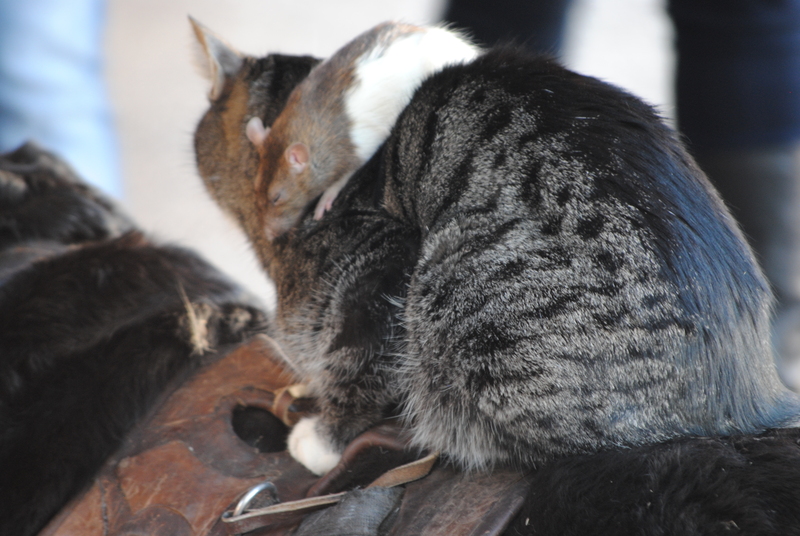 It’s a little hard to see, but the rat is on the cat, and the cat is on a dog. I have no idea how he did that, but it was fur real. Heh. 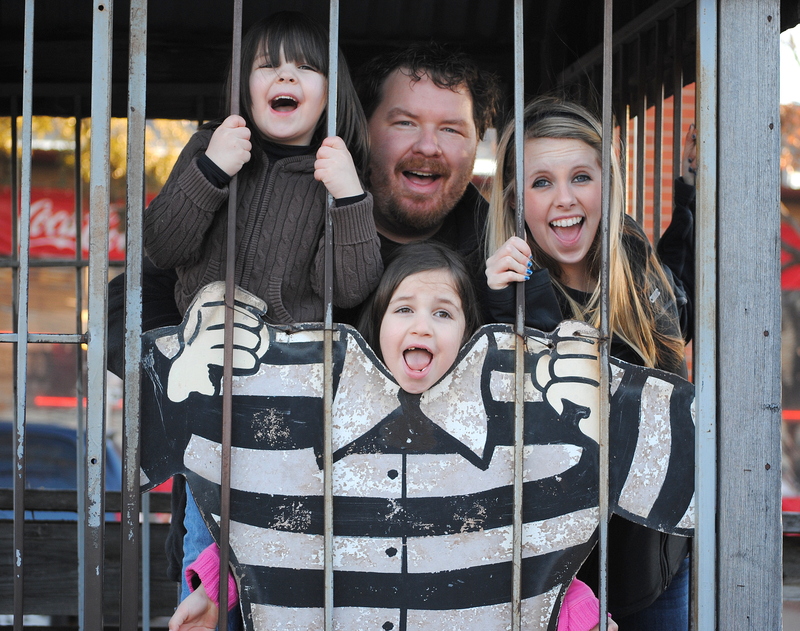 Our little outing ended when the outlaws were thrown in jail. All THREE of them! It's jail time for the criminals. S’cuse me, make that all FOUR of them rascals! I will bail you out tomorrow, okay kids? My most wanted crazy blended family. 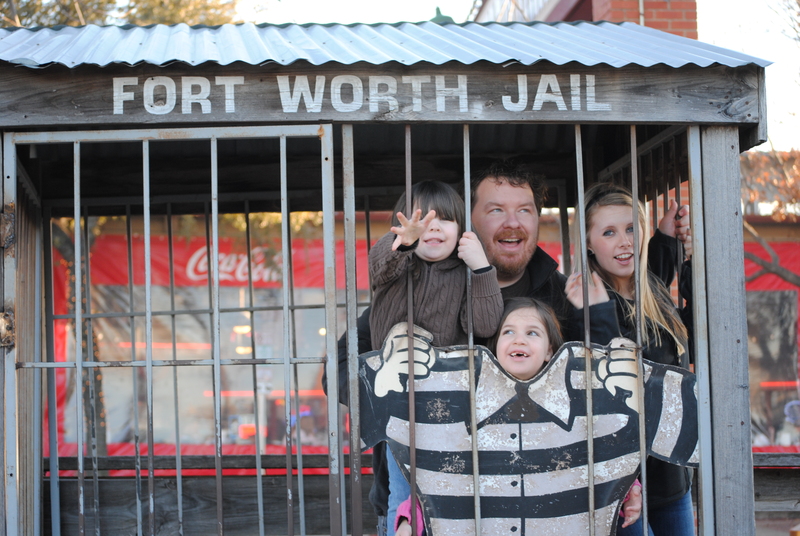 That sums up our afternoon in the Fort Worth Stockyards. 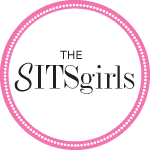 The girls really enjoyed it. 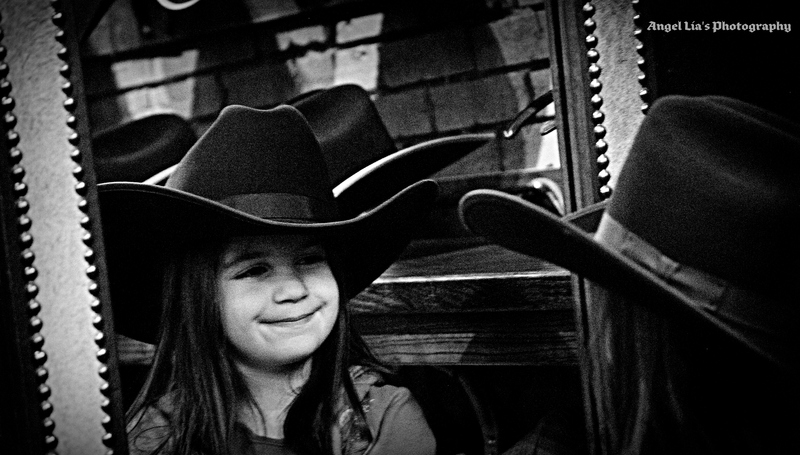 I think they have watched some western shows with their mom and they soaked it all up with big happy grins. Their maternal relatives hail from New England, but my goodness…..it’s obvious these little girls were born in Texas and it is soooo cute. 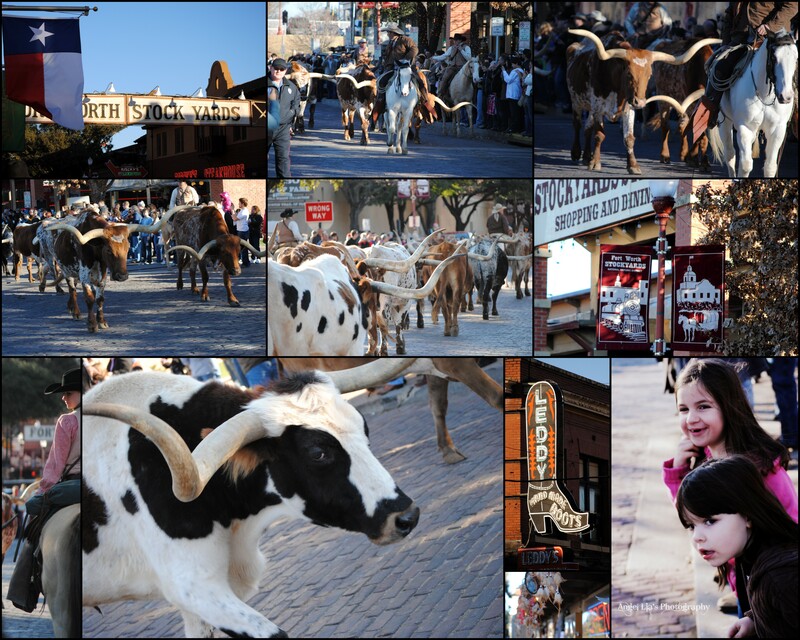 If you have not visited the Fort Worth Stockyards, and you live here (shame), you definitely should. The cattle drive happens twice a day. We caught the one at four pm. It was a great family time. Hope you are having a wonderful weekend too, and enjoying the nice weather if you got it. Oh, poor you, I hate sinus infections. Luckily I haven’t had one for some years now. I love all the photos. Looks like a really good time out. I stayed in Oklahoma when I came to the US this year and they apparently have a wagon train once a year. I really must try to get there when it’s on as I’d love to see it. Oh, and there aren’t too many photos at all. The last post on my blog I put a pic in and think it’s great eye candy – I’m going to try to do it more often. Hope you feel better soon. I LOVE these pictures!! Reminds me of when I was growing up (we raised cattle). 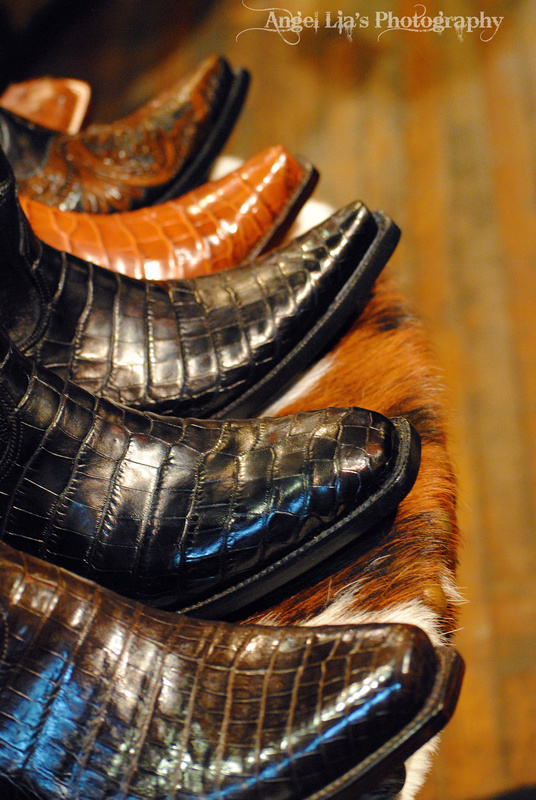 And – speaking of cowboy boots – my oldest son used to ALWAYS wear cowboy boots when he was about three years old!! Way cute!! (and not anywhere near as expensive as an adult pair!). This really DOES look like a lot of fun!! 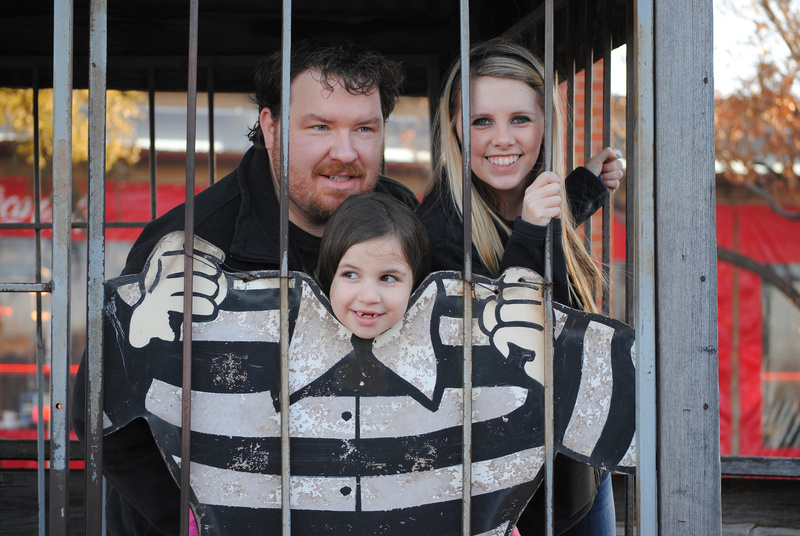 Have fun bailing the family out of jail today!!! great pictures!! wow!!! we’ve been talking about moving down to texas…my hubby’s brother is moving to san antonio. i have family in ft worth, too 🙂 you’re really making me wanna relocate! 😀 it’s too cold here in Chicago…LoL..-25 at night is too much like Alaska, hahahaha! All these pictures are fantastic!! 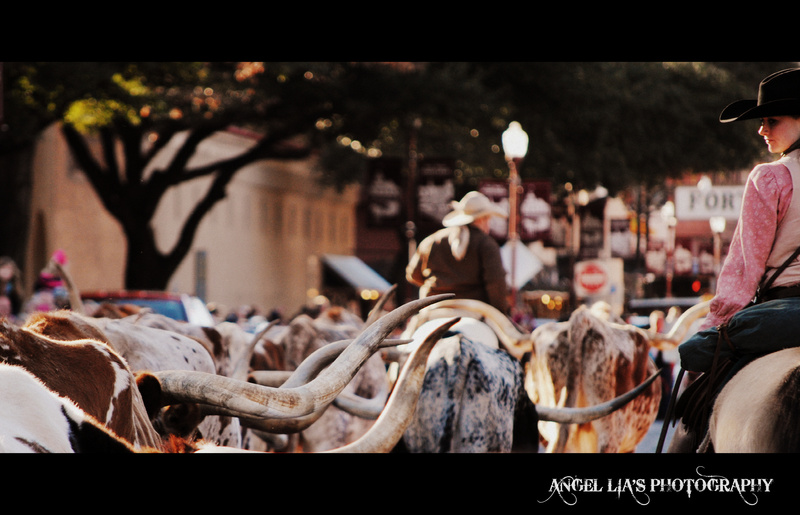 I love the picture with all the cattle and the perspective of the cowboy boots shot! Not only does it look like a great time was had by all, but it looks like you’re totally rocking your camera!! Great, great shots! These are absolutely gorgeous photos. I love your collages. 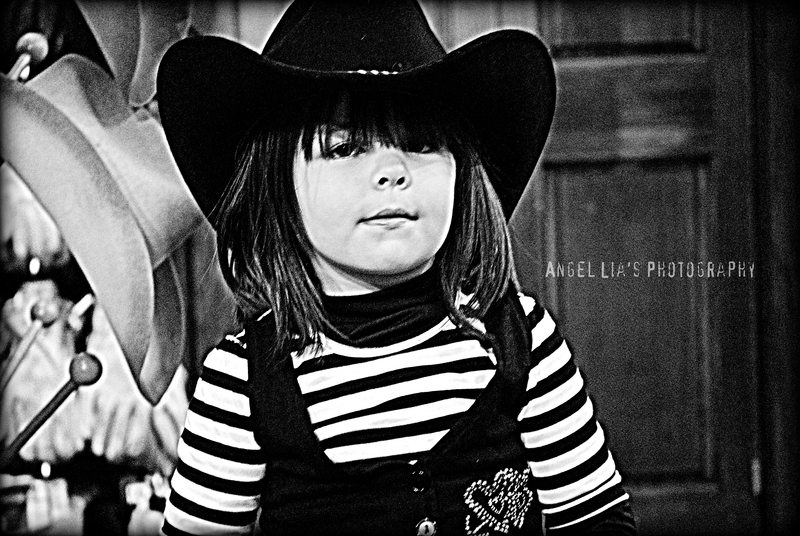 The black&whites are my favourites, but I really loved the first bull rider, too. And is that the famous trio you keep seeing in emails?? 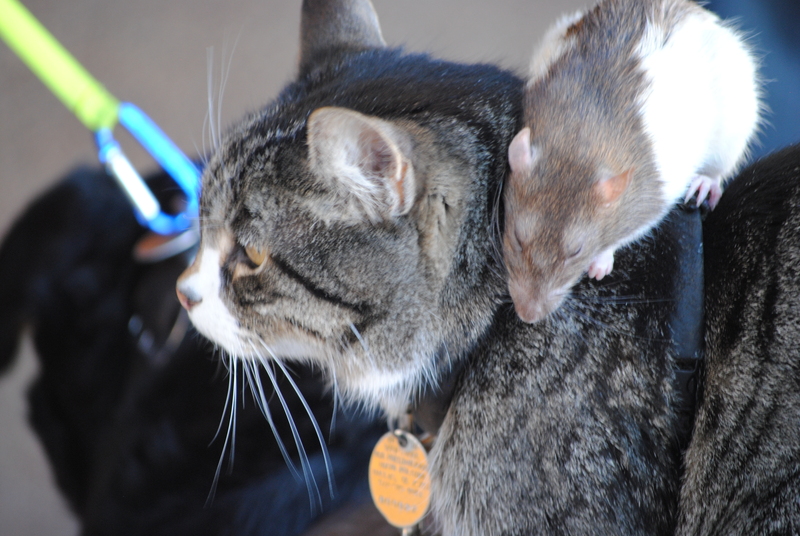 The dog, cat and rat? I can’t believe actually got to see them up close and personal! What a great day you all had! I am so sorry you did not feel well. We seem to have a similar problem, sinuses! Awful, isn’t it? have a good week with no headache!!!! Wow, these are some really incredible shots! Wow! I’m amazed they still do that. I am also amazed that you got any pictures at all with the way you were feeling. I hope you are feeling better (I am way late, its the 24th) reading this. your family is just too adorable! stunning pictures.